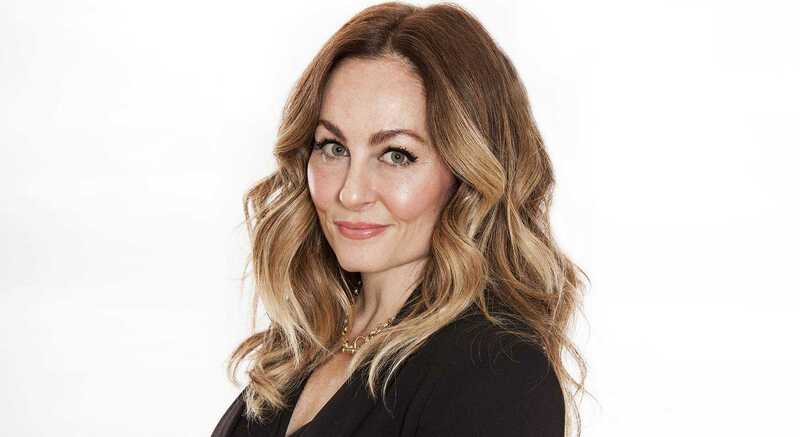 Caitlin M. Kiernan, is an award-winning journalist, a beauty magazine expert and a cancer survivor. A few years ago, Ms. Kiernan’s life took an unexpected turn when she was diagnosed with breast cancer and had to undergo a double mastectomy. 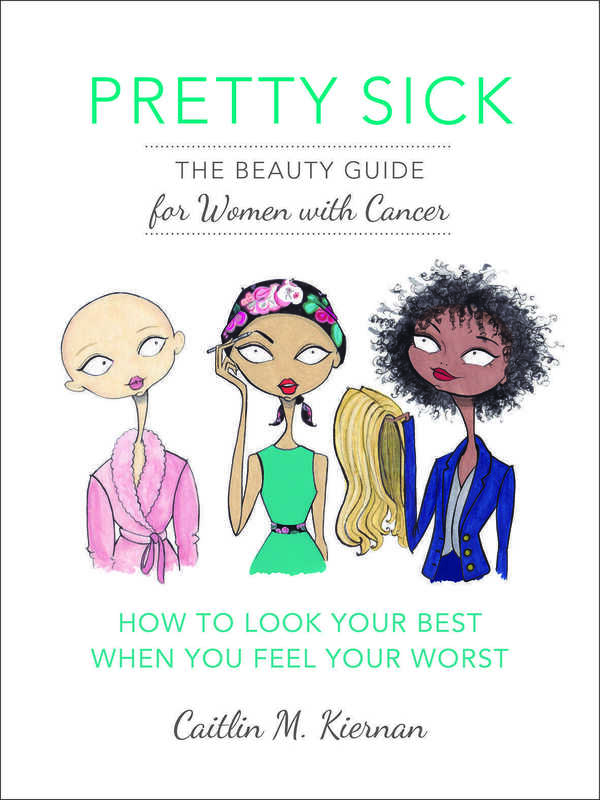 “Pretty Sick: The Beauty Guide for Women with Cancer” is Caitlin M. Kiernan first best-seller, to help women look their best when they may feel their worst. An inspiring conversation on self-discovery, transformation and love. Victoria Adelaide: Your book “Pretty Sick : The Beauty Guide for Women with Cancer” is the first of its kind. How do you explain that nobody wrote a book like that before? Caitlin M. Kiernan: Obviously you never think you would need a book like that unless you are in the situation, and then when you need this type of book, you can’t find it. 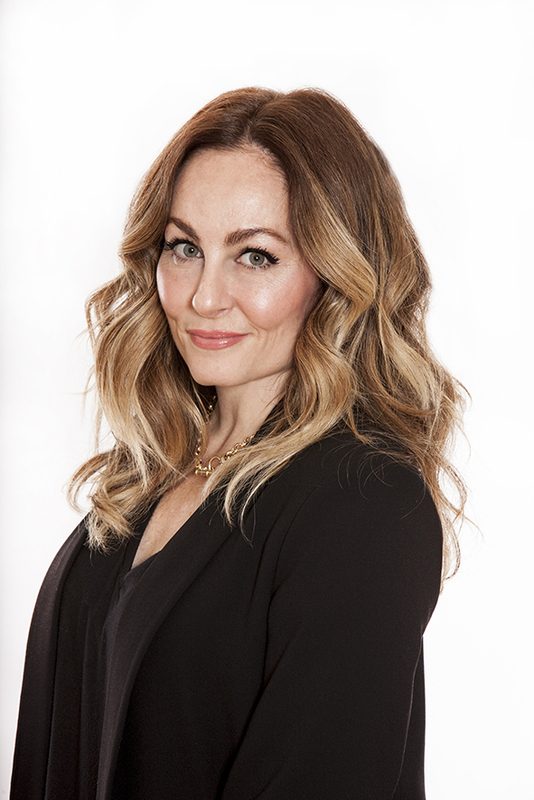 When I was diagnosed with breast cancer, I was a beauty director at a magazine and I just did what I normally do; I started researching and tried to reach out to people and doctors, to find information. There just really wasn’t one website or one book that had all that information. I was very lucky to have experts and resources around me that could give me the information. It was only because I needed it that I realized that it wasn’t there, and I felt that I was in a really good position because of all the people that I had around me, that I relied on when I was in treatment for all the help, to give me advice and tips and tricks on how to navigate the side effects of my treatment. And it really wasn’t until the end of my treatment that I kept hearing a lot of people saying, “Oh I didn’t know you were sick. You look amazing for someone going through cancer treatment”. I put two and two together, I realized I needed to pay it forward for all the blessings that I had, and I put this into a book for other women that are going through this. Because when you are informed, there are so many little things you can do, to look and feel better; that information wasn’t really out there, and I’m not sure why. I’m not sure whether it’s because talking about beauty when you are sick is considered taboo. I’m not really sure what the reason was, but that was sort of how it came to be. CK: Inner beauty is in my opinion more important because it really reflects the person, who you are. Outer beauty, at least for me, helps me tap into my inner beauty because it makes me realize that at the end of the day, who I am, what I project to the world and what I contribute to the world is more important. But I think that the way we feel about ourselves helps us to be happy people. I think when I feel better about the way I look, I’m a happier person. That point is often marginalized. Of course, I don’t want to value people because of the way they look, but I do feel that personally, individually the way you feel about yourself reflects on your mood, on your attitude. You know in those days, when I was really sick, going through the worst part of my treatment, on the days that I could somewhat put together my look and kind of feel like my normal self, I had a better attitude throughout the day and when interacting with other people. I felt more secure, more confident, happier and that combined the outer and inner person 100%. VA: How did you manage to have people not realize that you were sick? Working with them every day, don’t you think that to some extent it has to do with the fact that unfortunately, too often we live next to one another without really noticing each other? CK: I think it was a combination of things. I had really great people helping me figure out how to do my hair, my makeup, how to resolve the skin issues that I was having at one point during my treatment, when I broke out in very bad hives, like acne, dermic acne, which is a very common body reaction. I had really good dermatologists around me telling me what to use for the acne and the hives, and I had a celebrity hairdresser telling me how to manage my hair issues, even how to pick the right wigs, things like that. So I think it was a combination of factors. Most people go about their day and they don’t pay attention to the nuances. I think we internalize everything, we think everybody’s looking at us all the time, like when we start to loose our eyebrows or our eyelashes we get very insecure because we think everybody’s noticing that. But everybody is noticing their own eyebrows and their own eyelashes, so I think it’s a combination of things. But really at the end of the day it’s about the way you feel about yourself when you’re stepping out. You know, this book is really not about vanity issues; it is about empowerment, about being able to feel confident when you are in the worst place in your life, so you can face the day. VA: What would you say to a person who has just been diagnosed with cancer? CK: Well what I would say is really for any cancer. My advice is, know that this is a temporary situation, this is going to be very tough, and really hard but it’s temporary. I always say to people don’t try to be positive, try to find a silver lining; we get very upset and obviously we’re dealing with a health crisis and that’s upsetting, but I think a lot of it also is how it’s affecting other things in your life and how you feel your life has imploded as a result. I feel like if you can find a silver lining for every situation, like I did, because I didn’t try to be positive, I tried to find a silver lining, “Ok I’m going to lose my hair, well then you know what, I’m going to get a blonde wig that’s super straight, in a style and color I’ve never had before, and I’m just going to have fun with it”. When I heard that I was going to have a mastectomy, I said, “I’m going to size up”. I always had a small chest, “I’m going to size up, I’m going to have perfect boobies”. So you have to just try to find the silver lining in everything and one thing that happened to me along the way, because I did that, was that in every moment I found my gratitude. And I think when you find gratitude it instantly replaces anger, resentment, sadness, bitterness, because you will find that in gratitude you have appreciation and hope and that’s really important. I am not the same person I was the day I was diagnosed and I think I’m a better person now. 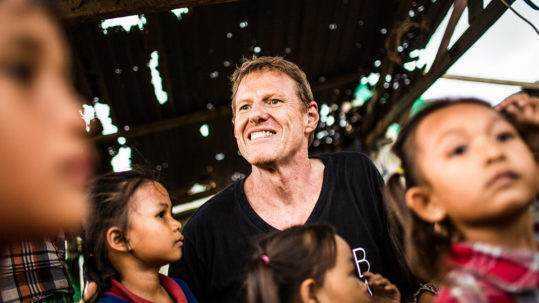 I have greater appreciation for life, for the people around me and the opportunities I have and what this journey of life is all about and how I can help other people. I wouldn’t have been this person today If I hadn’t been sick, and if I hadn’t really tried to find those moments of gratitude every day. It became a mantra to me. I grew as a person because of it. VA: What are the main things that have changed in your life? What was important before for the person you were, and what is important now for the person you have become? CK: Halfway through my reconstruction, when you’re sitting in a chemotherapy suite thinking about what’s going to happen to you, you really start to have a lot of time to contemplate your life, where it’s going and if it’s going to go anywhere, what you’re happy with and what you’re not happy with. And I really realized that there was a lot of things in my life I was not happy with. I was not happy at my job, I was not happy in my relationship, there were a lot of things that made me sort of angry, bitter and not nice. And the more I thought about it, the more I thought, “You know what, this is your second chance at life, you are going to make necessary changes as harsh and uncomfortable as they’re going to be, you’ve got to change the dynamic in your life”. And I quit my job, I broke up with my boyfriend of 9 years, I started really working on who I was as a person and what I was bringing into the world energywise and on my emotions and how I was affecting people. It was really hard, it was a really tough change, you know, being unemployed, being single and really having a look at the way you are as a person, and if you’re an ugly person inside and I felt like I was, I thought I was a really negative, unappreciative person. I instantly started making those changes. I mean the end result, it didn’t happen overnight, but it was my opportunity to correct the path, to hop back on the right path that was intended for me. I think being sick offers you some interesting opportunities because when you’re sick, no one questions you; everybody just lets you be because they understand you’re in a bad place. It’s a really great opportunity to make the changes in your life that you want to make. It’s the time when you really get a free pass from people, from employers, from loved ones, from life in general, because you’re sick, everybody says that you need a moment, and it’s at that moment that you should try to better yourself. 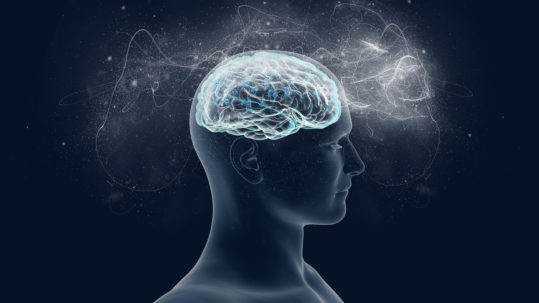 I did that and I have to say it was life-changing; it was really like I had to almost re-train my brain and the way I thought. But I did it and it really opened up a whole new world for me, in terms of the people and the opportunities that it draws into my life and how I feel about myself. Even on my worst day, even in the worst situation I see the blessings around me and I never did that before. I mean who was it? Was it Socrates who said, “The unexamined life is not worth living”? I have lived a very unexamined life, and that means looking at yourself. They don’t call it a journey for nothing; it really is a physical, emotional, mental, spiritual journey. It can actually be a really good one if you use it to your benefit. VA: How did people react to your illness? CK: Well, my family was not supportive at first. I had decided to have a mastectomy at the very beginning, and my parents were very much against it, they wanted me to have a lumpectomy and follow a very conservative route. Halfway through the treatment, I ended up having to have a mastectomy anyway, so I should have just gone with my gut; that’s another lesson, always go with your gut. But I was very surprised by how some people you didn’t think would be amazing ended up being amazing, and then other people that you really thought would rise to the challenge were not really there for me. Life crises, disease, financial situations, it’s very interesting how some people react to them; some people are not really good under that pressure. I don’t know if it’s because they don’t want to help. I just feel like maybe they don’t know what to say and they feel like they’re going to say the wrong thing. Which is why I always tell people, just show up, you don’t have to say anything; just be there, show up for the person. But it is weird how you expect one thing and you get another from people; people are human, they have human flaws and human reactions. It’s interesting what you get from some people. VA: In your book you also talk about the period “after” the cancer and how hard it can be when we could think that it would be the opposite. CK: No, I actually thought that was the hardest part. Because during cancer treatment everybody is amazing and supportive, they’re telling you what’s going to happen and they’re right there for you. And then everything is done, you’re deemed a survivor; everybody is excited but then you are just left to sort of navigate life after. For me I had a different body, my body wasn’t the same anymore, I didn’t feel the same; I felt like I had post traumatic stress disorder because it had been so crazy and then all of a sudden it was over, and everybody was just expecting me to go back to life as normal, and I wasn’t the same person anymore. I woke up every morning to get ready for work, I opened up my closet and I stared at the closet full of clothes that no longer fitted me and it felt like I was looking at a ghost of my former self. My hair, my skin, nothing was the same and I really felt like I was in somebody else’s body. And it was a very surreal experience, even now, you know, I’m still experiencing it. The cancer medication and the treatment put me into early menopause and so I’m dealing with that, so everything is very different. My body just operates very differently now; nobody prepared me for it, it was nothing I was expecting. So it’s like every day is just a learning experience, I’m 3 years out and I’m still getting used to life after, it’s hard. VA: We are trained for success, to have a great job, a great life, but we are not prepared for failure or unfortunate life events. Do you think being prepared for the worst could be a great thing, helpful? CK: I do, because I think it’s in failure that we learn. We don’t learn from the happy moments, to be honest; you don’t learn how to be a better person, you don’t learn how to go about things and tackle problems differently. You don’t learn that from success, you really learn that from failure. I think failure is a great thing honestly; every challenge is an opportunity to learn and grow. So if you look at it thinking, “What can I learn in this moment?”, “What can I see in this moment?”, “Where is the silver lining?”, it really changes your approach; it doesn’t make you think of it as a losing moment or a failure, it makes you think of it as an opportunity to be better at the next moment, at the next opportunity. VA: Chapter 10 of your book is, “Happiness is a state of mind”. CK: It is. It’s very true. I think it’s John Milton who said, “The mind is its own place, and in itself can make a heaven of hell, a hell of heaven”, and that’s very true. You can be sitting in a chemotherapy suite and be grateful for the moment of your life that you have and that you’re there and what you’re going to have, because you’re in a place where you’re able to even get treatment and have good doctors, or you can be miserable and angry that you are in that situation and be bitter. Either way, nothing is going to change the current situation; what changes is your state of mind, and the way you approach and react to things, you know it doesn’t change your circumstances. It changes your reaction and your feelings and how you see life. Why would you choose the angry bitter route? It’s only bad for you, honestly. VA: Can a good thing rise from a bad thing? CK: When I went into treatment, I was in a very bad place in my life. I wasn’t happy with a lot of things but now I feel like, careerwise I’m very happy, I have a fiancé who has two young children, and I was never going to be able to have children because of my treatment, and I met this wonderful man with two young children, so I’m like a mom now. When you wonder why you’re in certain situations, it’s because that’s the learning moment for you, that’s where you’re meant to be and what you’re meant to be, if you look for the lesson. And I did feel like things can be so much better. VA: When it comes to good news, your book is number one on Amazon, congrats! CK: You know I wasn’t a celebrity, and it is mostly celebrity books that become number one, so it was nice to have that number one release for sure, but it also shows the real need for that information. It shows that women want to be able to take care of themselves and their bodies when they’re going through treatment, and that there is a real desire to have that information. So I’m very happy that I was able to help people, that’s the reason I wrote it. VA: What does a day in your life look like? CK: Well, I’m a beauty director again, so I’m back working with magazines. I’m a working woman during the week and a mom on the weekends, so it’s a busy time. But I feel very blessed. I always loved beauty and everything related to beauty. I spend my days helping women with cancer and writing about beauty so it’s gone 360, which is great. CK: I’m very happy, I’m very blessed and I’m grateful. And I think what makes me happy is the fact that I know that. ...Even on my worst day, even in the worst situation I see the blessings around me``.